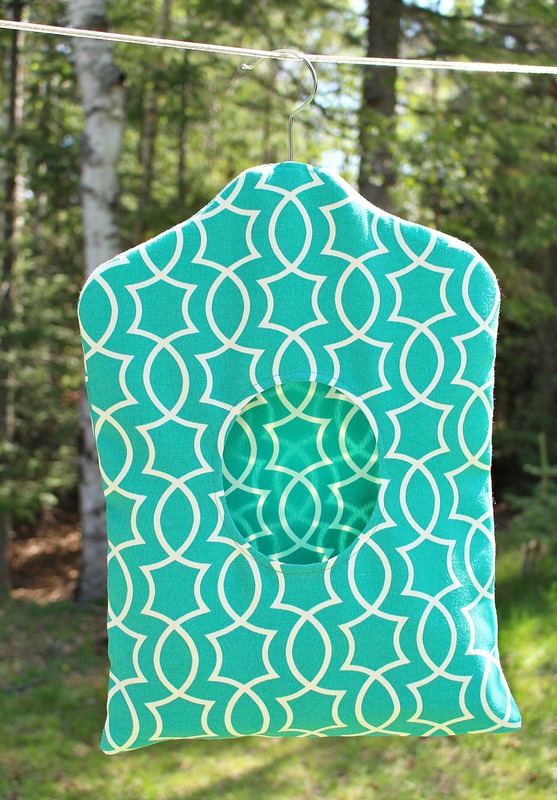 How many times have you found yourself struggling to find clothespins for hanging clothes in the backyard? 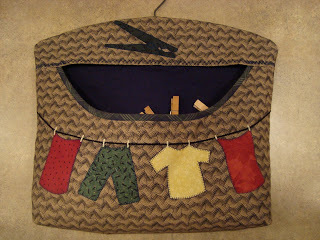 For this reason, a clothespin bag is of great help to stash the pegs into it and accessing them whenever needed. 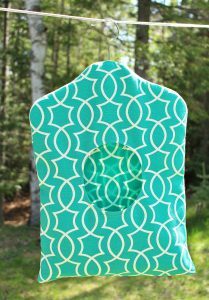 Given below is a list of tutorials that show you how to turn leftover fabrics or worn out bags into a clothespin holder. 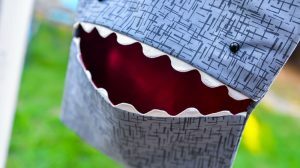 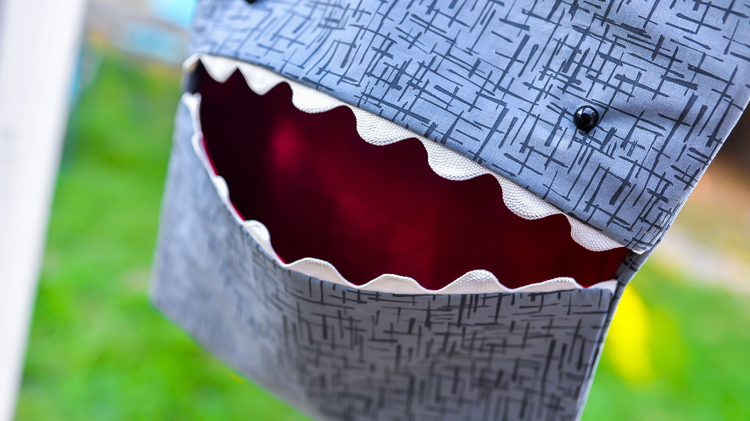 This easy-sew mischievous shark would undoubtedly get the kids to help you with your laundry chore during the summer holidays. 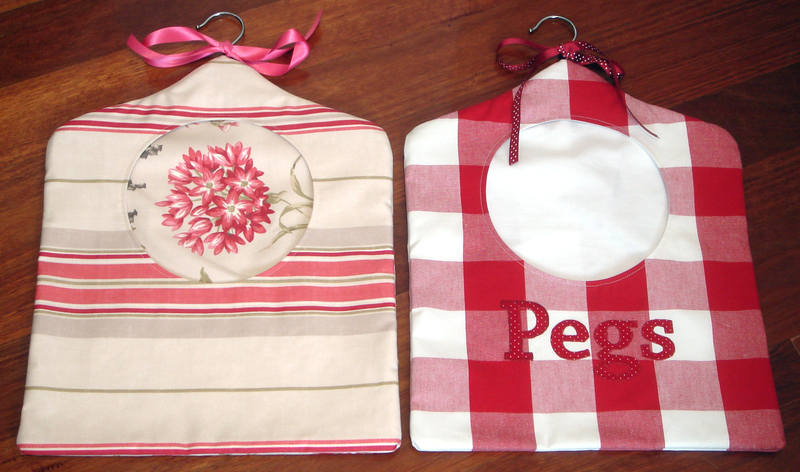 Sewing enthusiasts now have another project in their kitty to make a peg holder with few pieces of fabric. Insert a dowel inside and put it up on your clothing line. 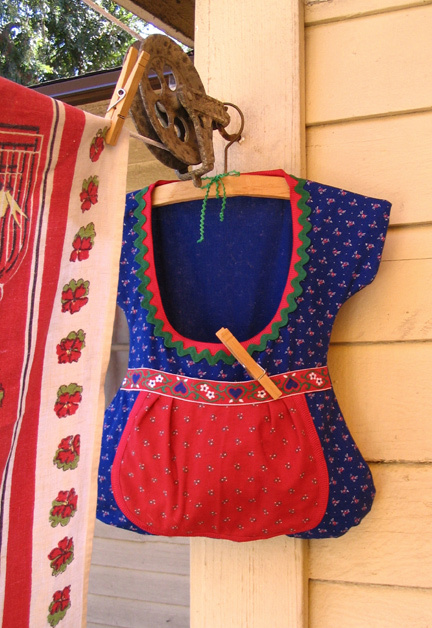 Add an Amish style to the clothespin, layering the collar and center of the bag with a different fabric. 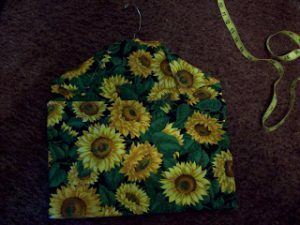 You need to make few adjustments in the measurements as seen in the image below. 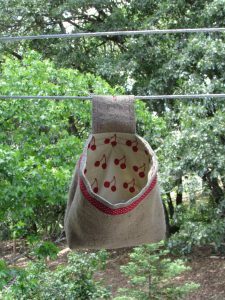 Here, burlap is used for the outer fabric and quilting cotton scraps as the inner lining. 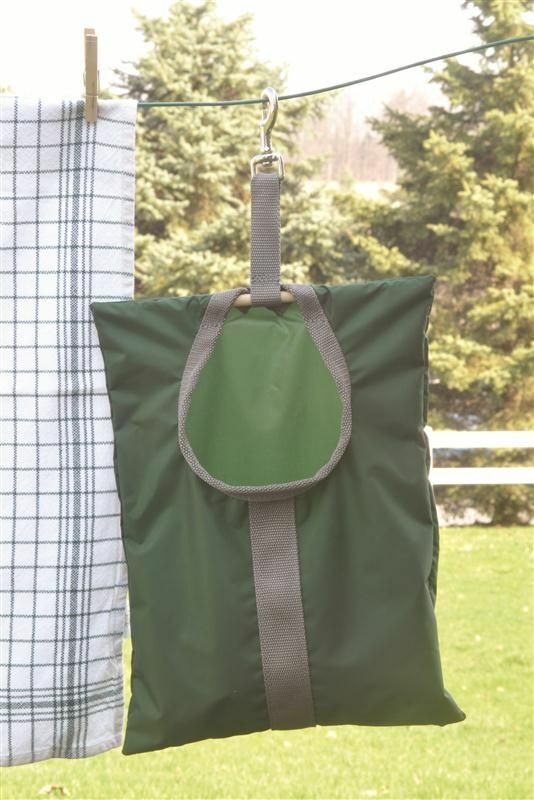 You can also use it as a laundry bag to carry the dried clothes back to your house. 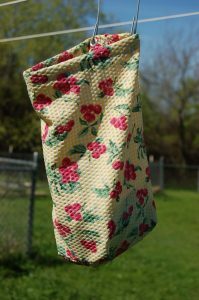 The daily task of washing and drying clothes can be made a bit fun with a beautiful floral peg bag. 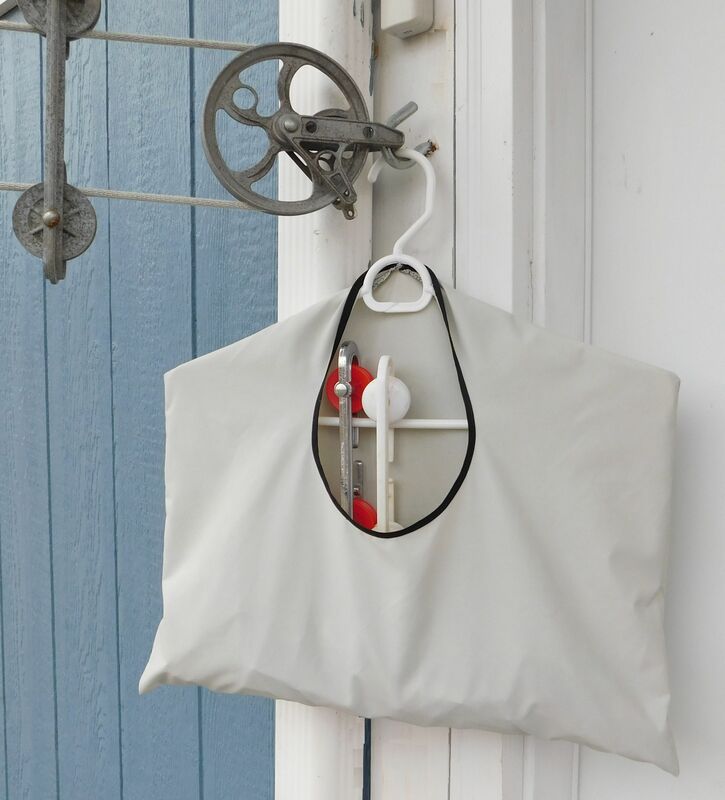 A thrifty investment would give you a chance to have this vintage clothespin bag hanging in your backyard. 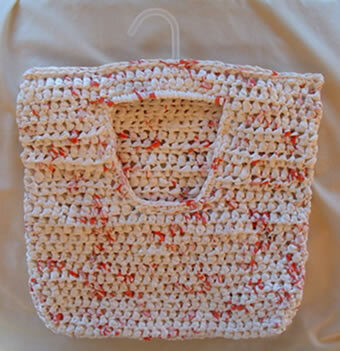 Say farewell to boring clothes bag at the stores as this tutorial encourages you to use balls of yarn and needle to crochet this creation. Is your sewing machine lying unused at home? 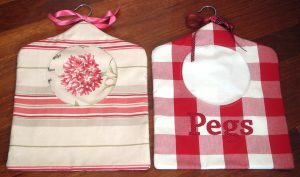 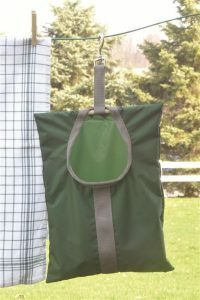 Set it up soon as you can’t miss trying out this fabulous peg bag. 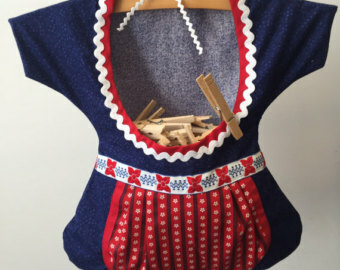 Layered with multiple fabrics, the thick clothespin holder will bring back the golden memories of childhood when you would play in your backyard while the clothes dried. 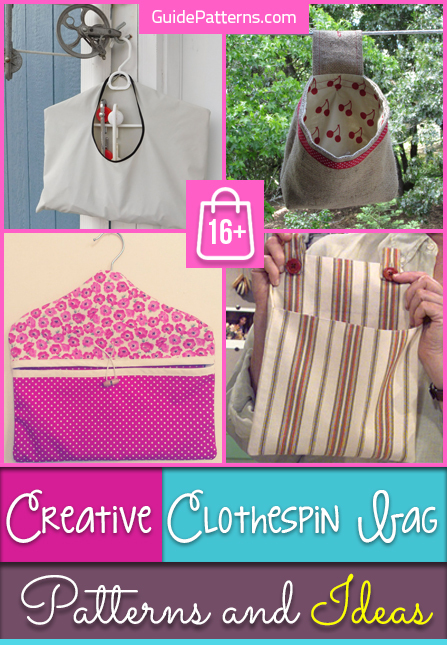 It’s hard to believe how the bits and pieces of fabric are sewn together to make a cool clothespin bag. 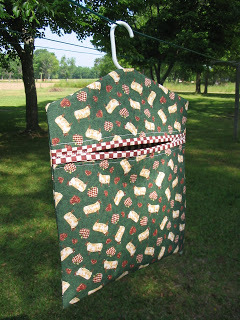 Your clothespin bag should be made thicker if you want to accommodate a huge bunch of pegs. The beautiful clothespin bag is styled like an antique dress of the yesteryears. 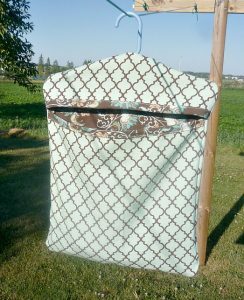 Put it up on the clothing line and see how the neighbors keep admiring your backyard. 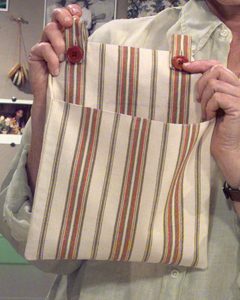 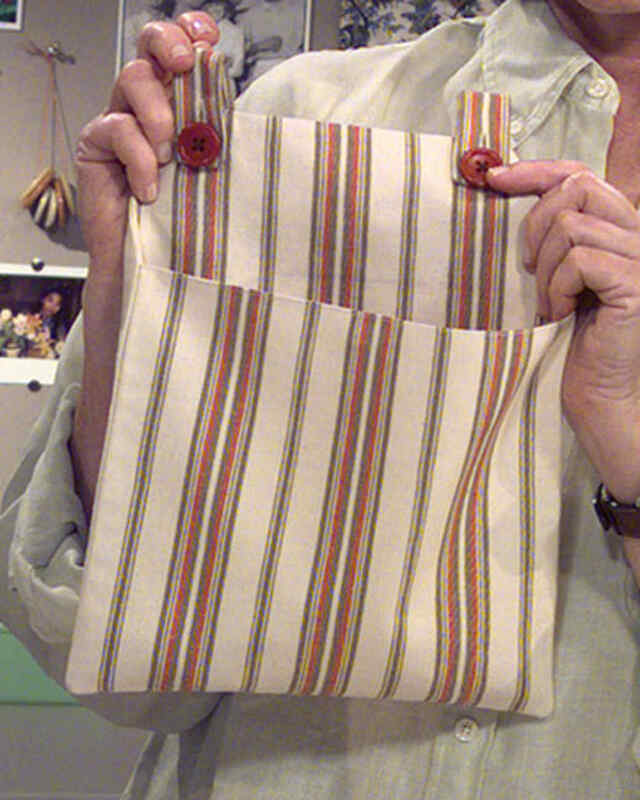 You can layer the bag with unique fabric patterns to create a couple of such holders to manage your hectic laundry work. 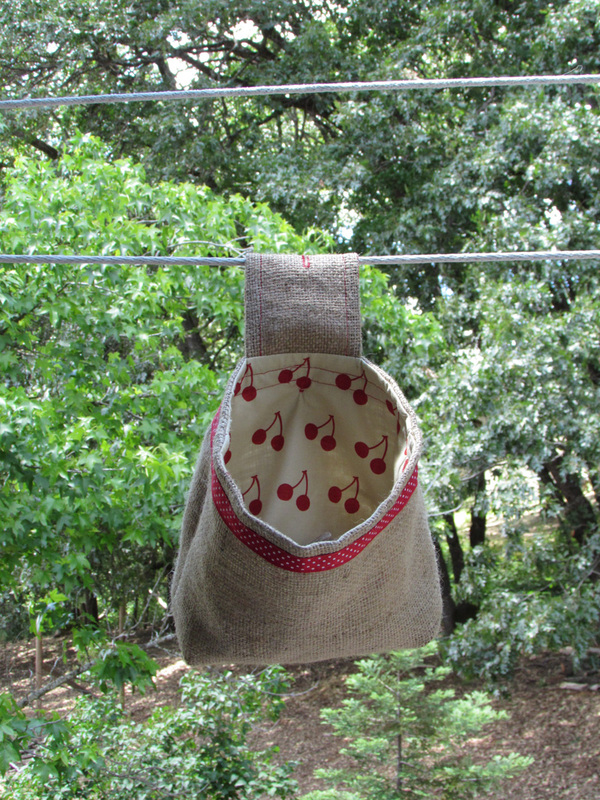 Embellished with a clothing hanger line and clothes the peg bag looks creative and real. 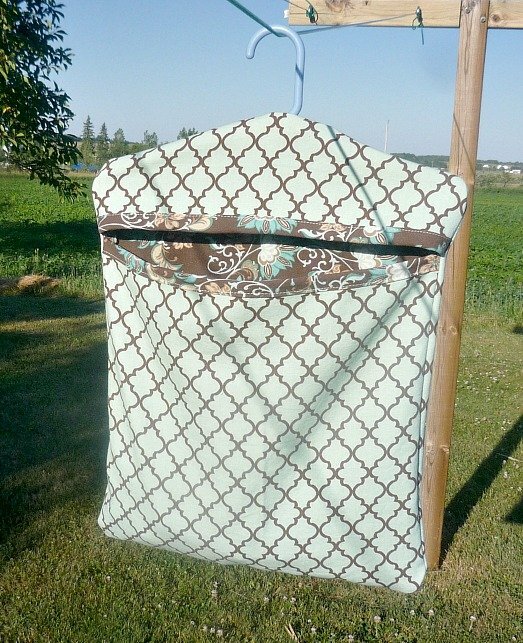 It’s surely a good decorative addition to your backyard. 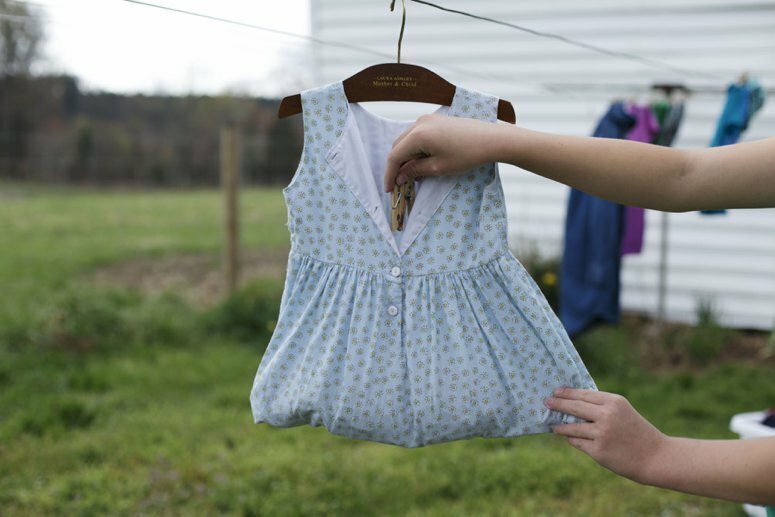 Every closet may have at least a pair of tattered jeans that would no longer be in use again. 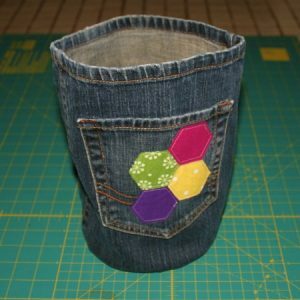 Grab a denim needle and dish out a funky clothespin holder. 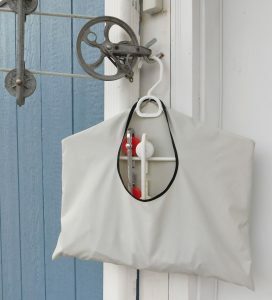 It’s time to gather all the materials and start stitching the pieces together to make an all-purpose laundry pin holder.